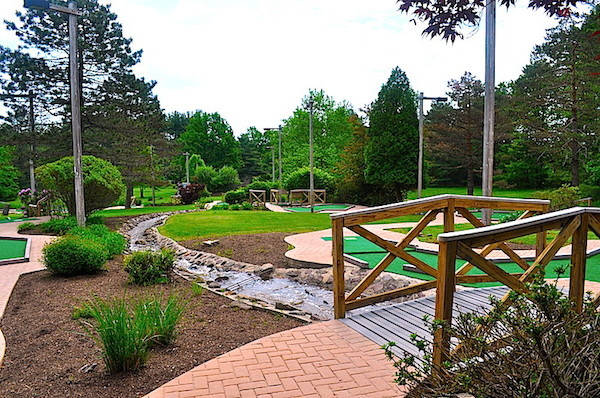 Each of our two challenging 18-hole courses feature a beautiful, picturesque setting of trees, flowers, ponds, streams, fountains, and waterfalls. 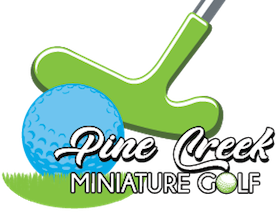 Pine Creek is like no other miniature golf course you've played. 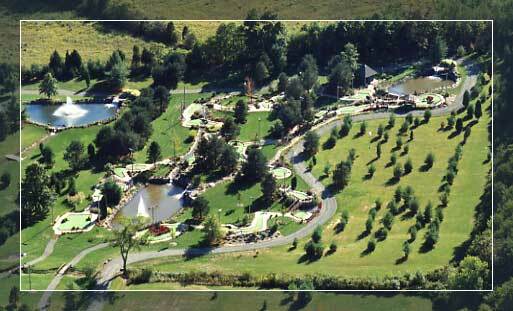 Both courses are spread over 6 acres and feature par 4's that reward strategy over conventional putting skill. The UPPER COURSE (par 55) is just a little easier and takes about 60 minutes to play. 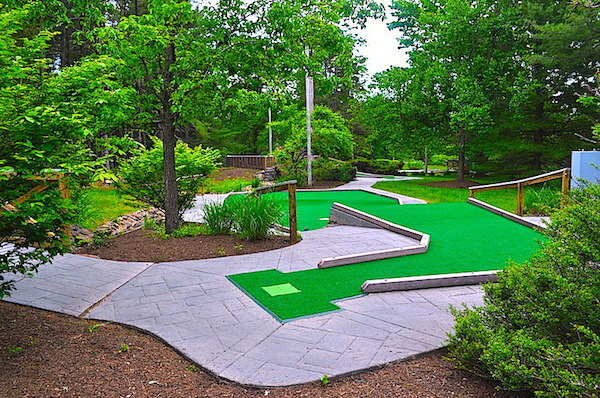 The LOWER COURSE (par 65) is a little more challenging and takes about 75 minutes to play. 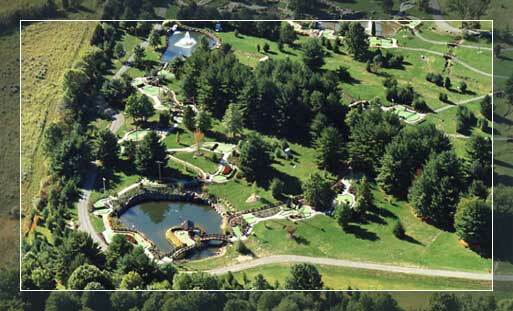 Both courses are large and occupy 6 acres each of beautifully landscaped scenery. "On a scale of 1 to 10, I give it an 11." - Mari Frances Petruska from Exton, Pa.
- Sean Francis Massimo from Princeton, N.J.
"It's fun and beautiful like a botanical garden." 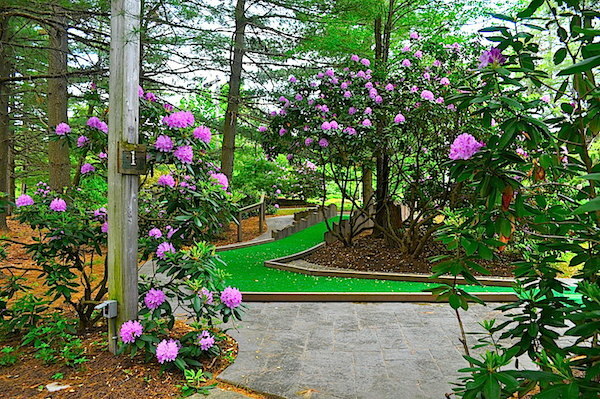 - The Arberman family from Brooklyn, N.Y.
- Dr. Harry Dissinger from Mahwah, N.J.
"Very peaceful and great landscaping!" - The Pompei family from Hamilton, N.J.
"Nice clean place. Lots of fun!" - The Mancini family from Hightstown, N.J.
- Tom Bowers and Karena Bailer from Marlton, N.J.
"Totally awesome, we'll be back." 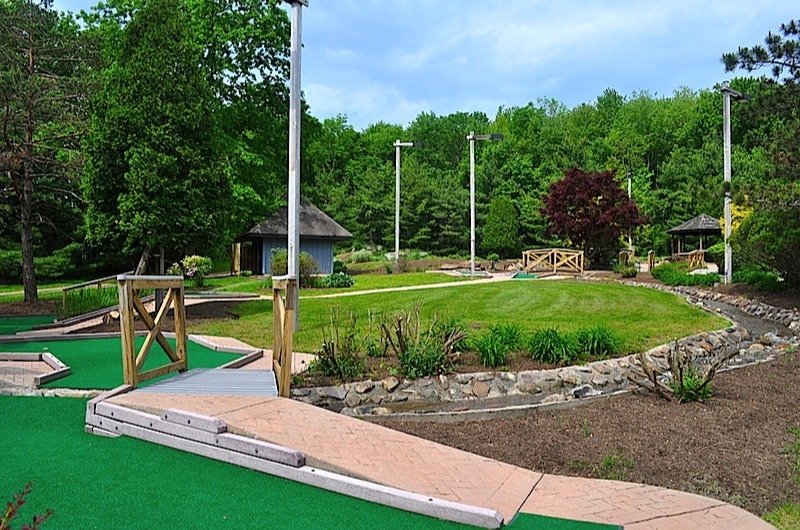 - The McGarty family from Hopewell, N.J.
"We loved it! Very un-commercial."